The reform of business and VAT on May 1st 2016 had significant influences on the transportation industry and the modern service industry; Transportation industry includes land transportation, water transportation, air transportation and pipeline transportation. After the reform, the value-added tax (VAT) replaced business tax. VAT was comprised of two lower-rate taxes: 6% for the modern service industry and 11% for the transportation industry. For taxpayers who sell VAT-taxable goods or import goods, the VAT tax rate shall be adjusted from 17% and 11% to 16% and 10% respectively. For taxpayers that purchase agricultural products, the deduction rate shall be adjusted from 11% to 10%. For export goods with the original 17% tax rate and the export tax rebate rate of 17%, the export tax rebate rate shall be adjusted to 16%. For export goods and cross-border taxable activities that used to apply 11% tax rate and 11% tax rebate rate, the export tax rebate rate shall be adjusted to 10%. Improvement of the definition of taxpayers. Drawing on international practice, the draft explicitly introduces the concept of resident individuals and non-resident individuals and adjusts the standard for determining individual and non-resident individuals. The new standard of taxpayers’ category judgement is adjusted from the current one year to 183 days, so as to better exercise tax jurisdiction and safeguard national tax rights and interests. Comprehensive taxation will be imposed. Incorporating income from contracted and leased operations of enterprises and institutions to “comprehensive income” or “operating income”. Income from business operations, interests, dividends and dividends, income from property lease, income from property transfer, incidental income and other income shall be subject to classified taxation, and individual income tax shall be calculated separately in accordance with the provisions. Optimization of the tax rate structure. Adjust the notch of income tax rate: The current rate of 10% has been reduced to 3%; the current tax rate of 20% and 25% have been reduced to 10%; the current rate of 25% has been reduced to 20%; for the rate of 30%, 35% and 45%, the draft reform plan keeps the same on those tax rates. Raise the standard for basic deductions from comprehensive income. In current income tax laws, the standard of deduction for personal income is 3500/m; deduction for comprehensive income is 4000/m; the draft reform plan defines the new standard of deduction as 5000/m. Set up special additional deductions. The draft reform plan increases special additional deductions for children’s education expenses, continued education expenses, medical expenses for serious illness, interest on housing loans and housing rents that are closely related to people’s livelihood. The draft takes the difference of individual burden into consideration, which is more in line with the basic principle of personal income tax and is conducive to the fairness of the tax system as well. Tax Planning. Planning is the key to successfully and legally reducing your tax liability. We go beyond tax compliance and proactively recommend tax saving strategies to maximize your after-tax income. We make it a priority to enhance our mastery of the current tax law, complex tax code, and new tax regulations by attending frequent tax seminars. Businesses and individuals pay the lowest amount of taxes allowable by law because we continually look for ways to minimize your taxes throughout the year, not just at the end of the year. Tax Preparation. Preparing your own income tax return can be a task that leaves you with more questions than answers. According to a study released by the US Government’s General Accounting Office, most taxpayers (77% of 71 million taxpayers) believe they benefited from using a professional tax preparer. Whether we like it or not, today’s tax laws are so complicated that filing a relatively simple return can be confusing. It is just too easy to overlook deductions and credits to which you are entitled. Even if you use a computer software program there’s no substitute for the assistance of an experienced tax professional. Payroll. When it comes to paying employees, local laws and policies have made the payroll function a time-consuming nightmare for the business owner. We offer payroll solutions with employees composition analysis that meet your business’s needs and enable you to spend time doing what you do best–running your company. DFK International is a major international association of independent accounting firms. 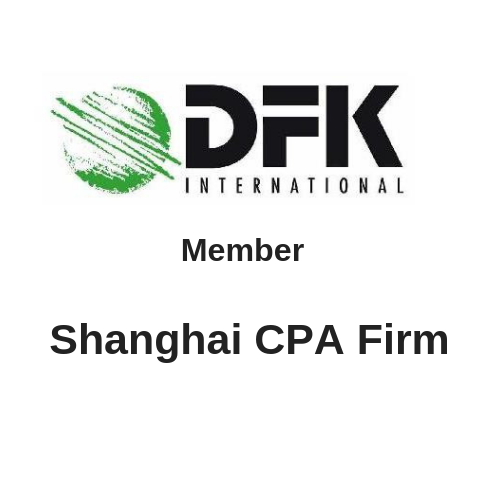 As an association that has been exceeding the needs and expectations of clients for more than 50 years, Shanghai CPA Firm are proud to be DFK members. To contact Shanghai CPA Firm, tel: +86 21 61176725 or email: xujing@vip.sina.com.